Perform these configuration steps after you deploy the RSO solution. Go to Resource Scheduling Optimization > Administration > Resource Scheduling Parameters. Set Enable Resource Scheduling Optimization to Yes. Set Default Goal if needed. A default goal helps speed up interactions with RSO through the schedule board by predefining how the engine optimizes data. Users can still pick different goals. Set Connect to Maps as Yes. 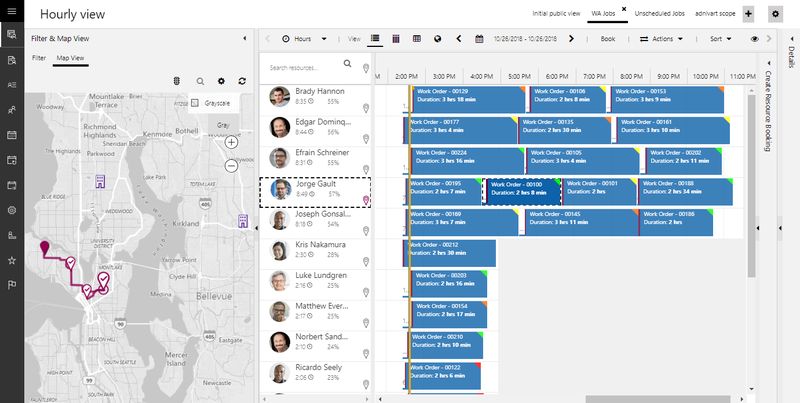 The connect to maps feature allows this organization to interact with the Bing Maps service that the schedule board uses. Only a user with the system administrator role can enable this setting. Go to Settings > Security > Users, navigate to the Application Users view, and assign the Field Service - Administrator security role to the Resource Scheduling Optimization application user. 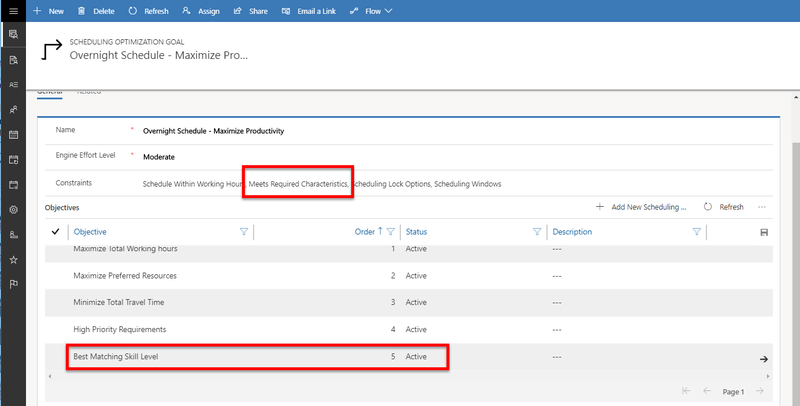 Go to Settings > Security > Field Security Profiles, open Field Service – Administrator, and add Resource Scheduling Optimization to the field security profile. Steps 2 and 3 help ensure that RSO is able to optimize work order-related requirements and bookings. Go to Settings > Security > Users. Locate the user or team of dispatchers. Grant RSO Dispatcher a security role. Go to Settings > Security > Field Security Profiles. Open Resource Scheduling Optimization - Dispatcher and add the user or team to the profile and then click Save. The settings described here are selected and applied to all optimization scopes. Update Optimize Schedule to Yes for resources. Go to Resource Scheduling Optimization > Resources. 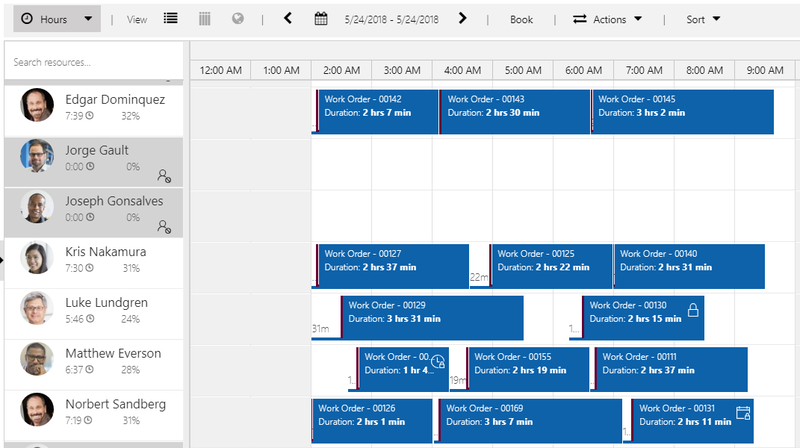 Navigate to the Scheduling Summary view, select one or more resource records, and then click Edit to bulk edit the Optimize Schedule field to Yes. After you enable your resources for RSO, you need to set the latitude and longitude for the resources’ organizational unit or personal address, depending on whether their start/end location is an organizational unit or a personal address. Start location and end location must have the same setting. For example, you cannot have the start location be a personal address and the end location be location agnostic. Configure booking setup metadata for the entity. 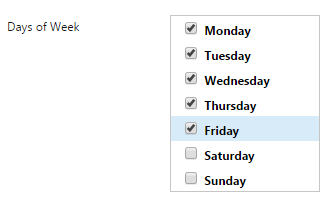 Set Default Scheduling Method to Optimize. For example, if enabled for work order entity’s booking setup metadata, every newly created work order and related resource requirement will be configured to optimize automatically. For existing resource requirement records, update the resource requirements scheduling Method. 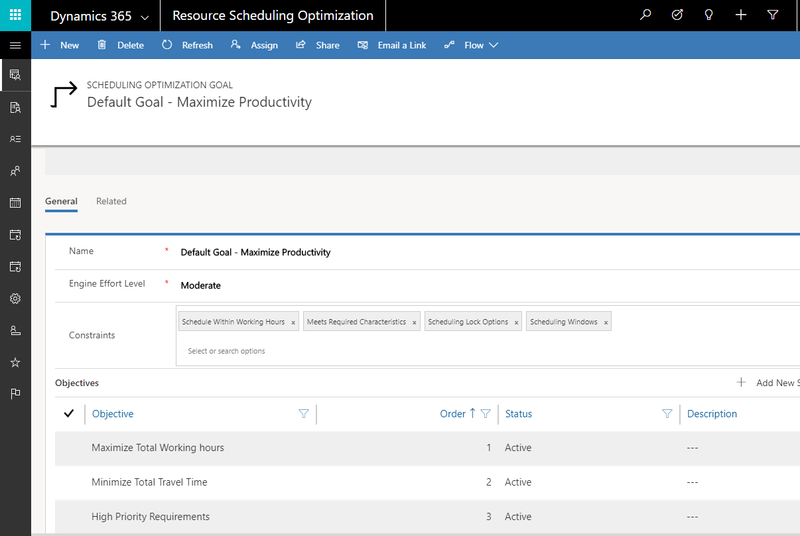 Go to Resource Scheduling Optimization > Resource Requirements, navigate to the Unscheduled Work Order Requirements view, select some or all records, and click Edit to bulk edit the Optimize Schedule field to Yes. Work location must be set to On Site or Location Agnostic. If On Site is the requirement, you must specify latitude and longitude. Check From Date and To Date for resource requirements to make sure the dates fall into the window you would like to schedule. You can use the bulk edit feature to update values for selected records as well. 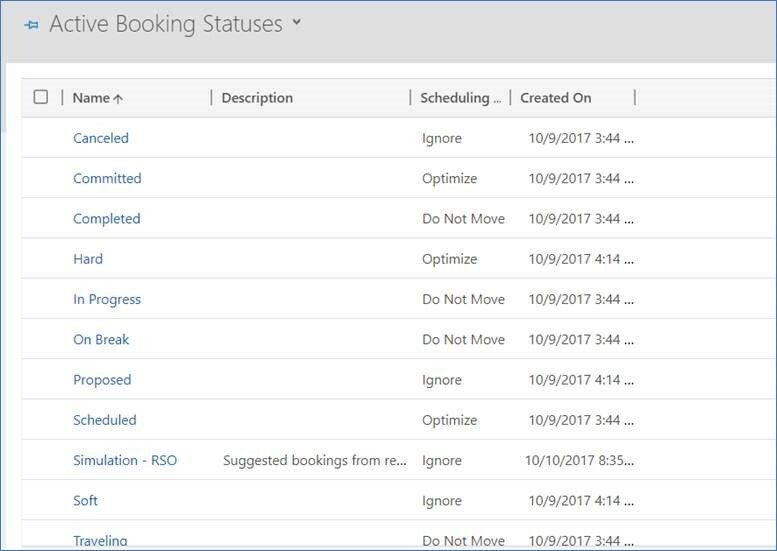 Go to Resource Scheduling Optimization > Settings > Booking Statuses and configure Scheduling Method for booking status. Any booking status with an empty scheduling method will be treated as Do Not Move. Optimize: This status means RSO is free to move this booking around. Do Not Move: This means RSO doesn't alter the booking. RSO preserves the estimated arrival time and assigned resource. The booking’s start time and estimated travel duration may be changed if RSO schedules a booking in a new location before the Do Not Move booking). This operates the same as if the user set the booking to Locked to resource + time on the scheduling lock options field. Ignore: RSO will completely ignore this booking. It will ignore for both location and time, meaning there will be overlaps. It is as if the booking doesn’t exist. Use this when the booking status is in the state of proposed or canceled. You can define when RSO should optimize requirements and bookings for selected resources, for example, at 1 AM on weekdays. Creating a schedule also includes creating a scope and a goal. Give the schedule a logical name to express which resource requirements and bookable resources will be optimized. If a scope and goal have not been created, you will need to create those for this schedule. Timer: Defines how often this schedule will run. Timer Mode: The reference instant when the schedule starts the timer (Fixed or After Job Completion). For example, if a timer is set to 30 minutes, the first run starts 30 minutes from the publish date/time. Fixed mode means the optimization runs every 30 minutes. After Job Completion mode means the optimization runs 30 minutes from the end of the last RSO job execution. Job refers to the RSO job. Valid From and Valid To: The first/last date and time when this schedule is valid for execution. Filter is used to set a variety of combinations. For example, the schedule will run at 1 AM and 7 PM every Monday through Friday. You can filter by month, numerical day, weekday, hour, and minute, and refer to a configured time zone. Leaving all filters blank means no filters will be applied. If you configure your timer and filter as shown here, RSO will run every 30 minutes after the previous job is completed, from 12/3/2016 at 9 AM to 12/4/2018 at 9 AM, except on Saturdays and Sundays. You can define what RSO optimizes, including resources, requirements, or bookings. Scope is the RSO mechanism for defining the relevant inputs: resource requirements, resources, and existing resource bookings. It also includes the timeframes to be considered for optimization. 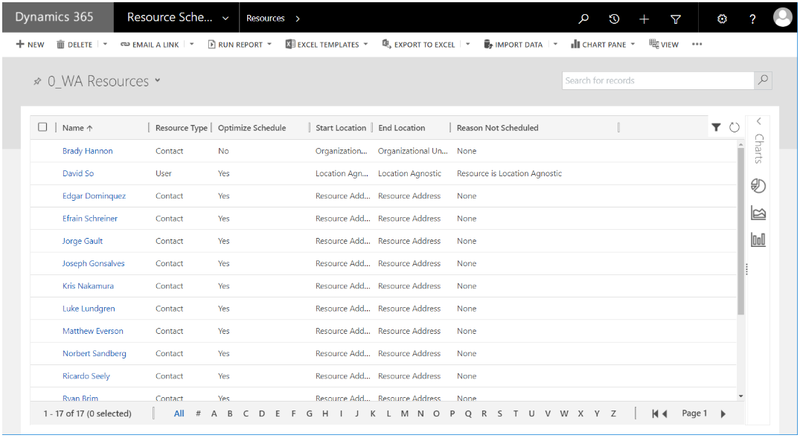 Extensible scope leverages Dynamics 365 for Customer Engagement entity views, providing an easy and flexible way to define what to optimize (resource requirements, resources, and existing resource bookings). Temporally defined: optimize technicians who work in the day separately from those who work at night. Logically defined: support level, incident type. After opening the Scheduling Optimization Scope form, users can select existing system views or personal views (for which they have read permissions) from the Resource, Requirement, and Booking view drop-down menus. 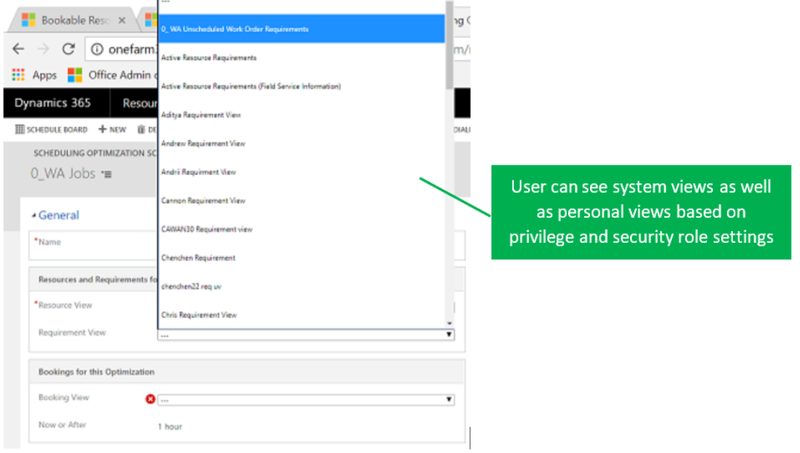 If a personal view is selected, it is shared with the Resource Scheduling Optimization application user and other users who have access to the scope. Using Resource View as an example, 0_WA Resources has been defined with the filter conditions shown in the following screenshot. This is equivalent to configuring WA territory as an optimization scope in the previous version of RSO. Users can apply more filter conditions as needed to specify resources they need to optimize. 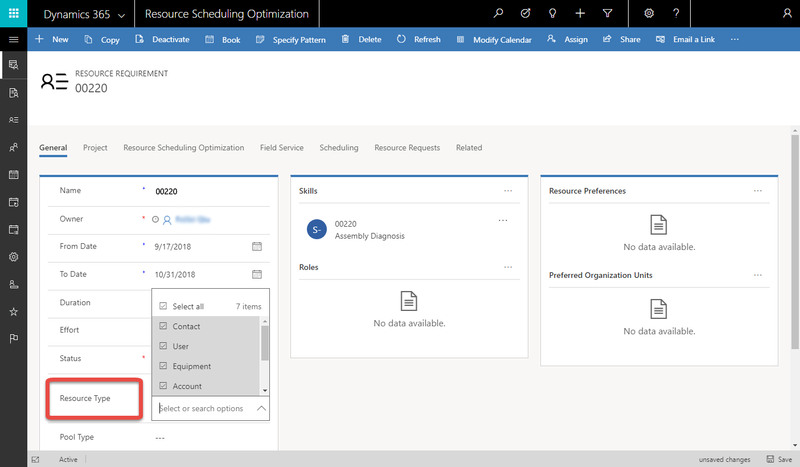 RSO will respect the Optimize Scheduling setting on individual resource records on top of the resource view filters. Select at least one requirement or booking view for what needs to be optimized. If you select booking view, you can set it to Now or After. For example, maybe you want to optimize bookings for the next 5 days, from 2 hours on (while excluding bookings within the next 2 hours and bookings in the past). The current, out-of-the-box Dynamics 365 for Customer Engagement entity view filter doesn’t support this Now or After condition; RSO enabled this additional setting on top of whatever filter conditions are defined for that booking view. Optimization Range Settings is the time range where bookings can be created, updated, and deleted. Example 1: You want to have a booking created/moved ahead 24 hours but from 1 hour on; in other words, bookings will be moved into a range starting Now+1hour and ending Now+1hour+1day (which might partly still be today). Range Reference: The start moment for all subsequent work order range calculation (Job current time or Beginning of the Job’s current day). Range Offset: Amount of time added to the range reference to define the range start. Range Duration (days): Number of days added to the range reference. Example 2: You want to have a booking created/moved into the next two days. 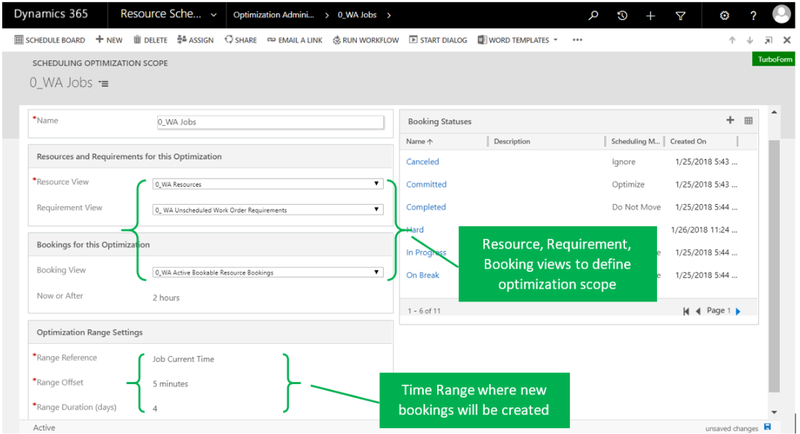 If bookings or resource requirements are defined in the Requirement/Booking view, but the promised date/time windows are outside the optimization range, RSO won't create or update these requirements or bookings after respecting the scheduling window constraint. 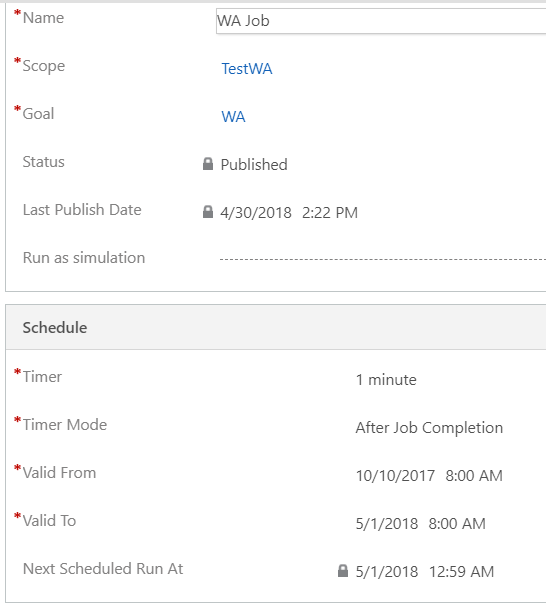 If the promised date/time windows are overlapping the optimization range, RSO will create/update these requirements/bookings after respecting the scheduling window constraint. Resource filters on the schedule board are prepopulated from the Resource View. 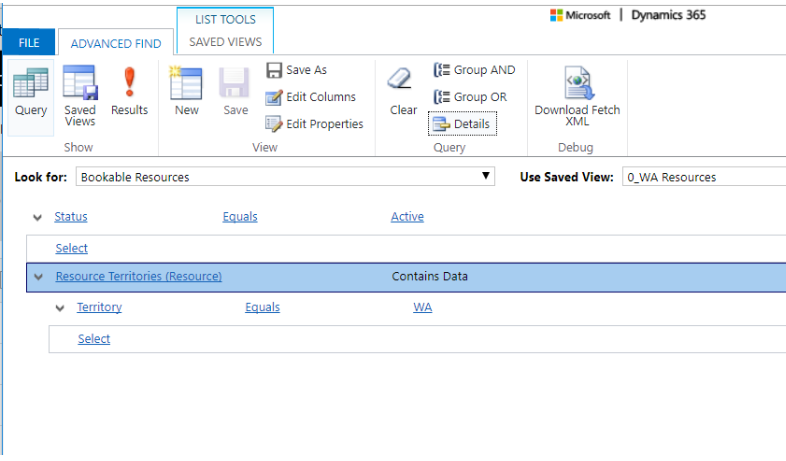 The resource list matches the number of resources defined in the Resource View. RSO will display a lock icon and tooltip to indicate if a resource is not enabled for optimization (even though it was added into Resource View). Requirements under Eligible for Optimization match the records from the Requirement View. If Resource View referred by optimization scope is a system view, modified filters through the schedule board will be saved as a new personal view. If Resource View referred by optimization scope is a personal view, modified filters through the schedule board will be saved back into the same personal view. Have the highest possible score for the company’s objectives. When Resource Scheduling Optimization is deployed for the first time, the system automatically creates a default goal with some constraints and objectives enabled. Users can modify as needed or create a new optimization goal and associate it as a default goal. Engine Effort Level determines how much effort RSO makes to find the best combination of resources, route, and day or time. The higher the effort, the longer RSO takes to complete the execution. For example, the effort might be very light, light, moderate, intense, or very intense. The higher the intensity, the more iterations of possible combinations the RSO engine considers. The default goal is used when single resource optimization is selected from the schedule board. This creates the booking if it can be completed within the resource’s working hours. Verifies the booking is not scheduled out of the resource’s working hours. This includes travel time from the last booking to the resource’s end location, although it’s not visually displayed on the schedule board. This verifies the resource has all the required characteristics and should have minimum required skill level. If marked, this will respect lock options configured on a booking record. In general, resource types define how the resource relates to the organization. For example, resources with the resource type Users are typically employees, whereas the resource type Contacts or Accounts are typically contractors. Additionally, requirements allow multi-select so you can specify which resource types you need for a given requirement. If marked, RSO will schedule work to comply within the time window start and end fields on the resource requirement or booking record. If From Date and To Date on resource requirement or Date Window Start and Date Window End on resource booking are set as shown in the following example, it indicates you want RSO to schedule the booking on 5/24/2018 and time of day doesn’t matter. If Time Window Start and Time Window End are set as shown in the following example, it indicates you want RSO to schedule a booking from 2 AM to 6 AM and the date doesn’t matter. If Time From Promised and Time To Promised are set as shown in the following example, it indicates you want RSO to schedule a booking between 4 AM and 8 AM on 5/24/2018. It has to be a specific date and specific time range. If these fields are conflicting, RSO uses Time From Promised and > Time To Promised first. Then it will use one or a combination of other fields. RSO will ensure the Estimated Arrival Time falls into the window specified above. It does not guarantee that the booking’s end time will fall within the time window. Empty time values (v3.0+) RSO will respect scenarios when only a start or end time is defined on a requirement. In the following example, a requirement has only a time window start value; RSO schedules the requirement any time after 1:00 PM regardless of date. This logic applies to the following fields. If marked, RSO will not schedule a restricted resource to the booking. Add and rank the objectives of RSO scheduling by using the Move Up and Move Down buttons, as seen in the following screenshot. Maximize total working hours: The combination of the engine results (iteration) with the total highest aggregate work time will best meet this objective. Minimize total travel time: The version of the engine results (iteration) with the total lowest aggregate travel time will best meet this objective. This cannot be the first objective in the list. RSO might not schedule anything with the travel time as 0 minutes in order to meet the first objective. 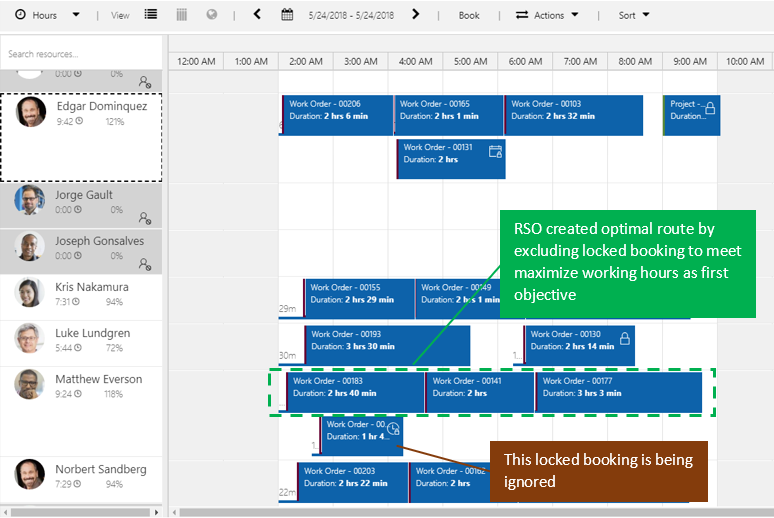 Locked bookings: Once a booking is created, a lock can be set on the scheduling lock options field in the RSO section of the booking. The options are Time Range, Resource, Time, and Resource and Time. When the locked bookings objective is selected, RSO will try to include locked bookings into the optimal route. For example, the following screenshot shows that Norbert has a booking that starts at 2:30 AM, and this booking is locked to Time. When RSO runs, the system detects a 30-minute idle time for Norbert in the morning, but none of the other requirement durations fit into that slot with the locked booking next to it, even though RSO tries to move it to other resources’ time. If locked booking is a high-ranking objective, RSO will keep the locked booking there with 30 minutes of idle time before it by sacrificing the other objectives. The following screenshot shows the result. If locked booking is not a selected objective or is ranked lower in the order of importance for objectives, RSO might ignore this locked booking (exclude this locked booking from the optimal route) and schedule other bookings for Matthew at 2:30 AM in order to achieve the highest score for top-ranking objectives, with the result shown in the following screenshot. It looks as if a booking overlaps, but actually the locked booking was ignored in this case. RSO would not delete the locked booking because it would lose the lock information defined on the booking record, which can’t be retrieved from the backing requirement. High priority requirements: RSO will evaluate this objective and give priority to the resource/booking combination with the highest score for priority. The priority is set on the resource requirement record and is an option set with weighted values. RSO checks Level of Importance on priority to determine how important that priority is—for example, set Level of Importance=10 for urgent priority and set Level of Importance=1 for low priority and RSO will score 1 urgent requirement the same as 10 low-priority requirements because both scores are 10. Maximize Preferred Resources (v3.0+): RSO will consider the list of preferred resources noted on related requirements. The optimizer will try to assign bookings to preferred resources first while meeting other constraints and objectives. This is achieved by adding the "Maximize Preferred Resources" objective to your RSO goal and adding a preferred resource(s) on the requirement that will be optimized. The following screenshot shows an example of adding a resource to a requirement (for example: Jorge Gault) as a preferred resource. After running an optimization schedule, the requirement is scheduled to the preferred resource. In the following example, work order 00100 is scheduled to Jorge Gault. The Maximize Preferred Resources objective only applies to preferred resources. Best Matching Skill Level (v3.0+): RSO will consider the proficiency rating when matching characteristics required by requirements and the resources who possess those characteristics. This is dependent on the Meets Required Characteristic constraint within the optimization goal. 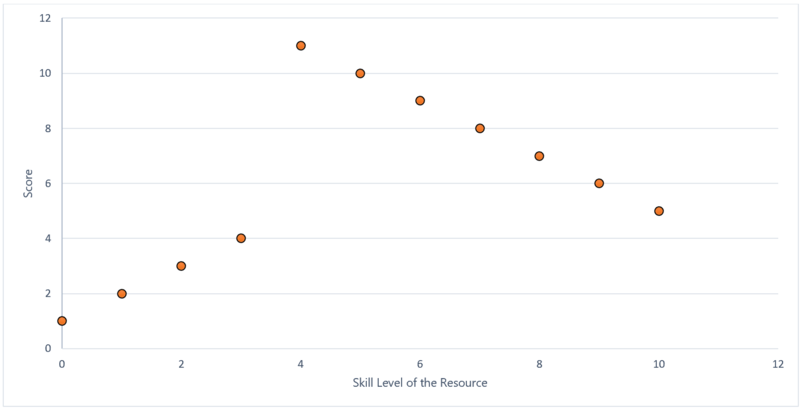 For example, if a characteristic (skill) rating model ranges from 1 to 10, and the requirement asks for a skill level of 4, the following example shows the score distribution based on skill level of the resource.